Another day, another round of predictions. While the Part One was fairly straightforward and not terribly difficult, Part Two is a bit harder to call. 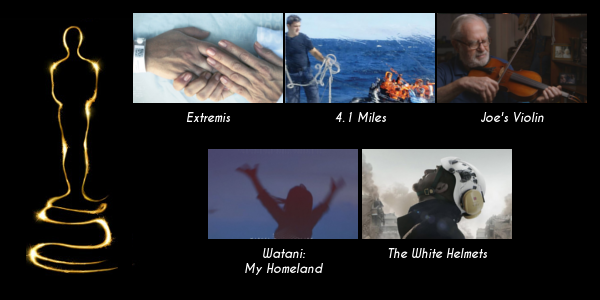 The sound categories and the short films can make or break your office Oscar pool entry but there are certain tropes that make predicting these categories not as bad as you think. 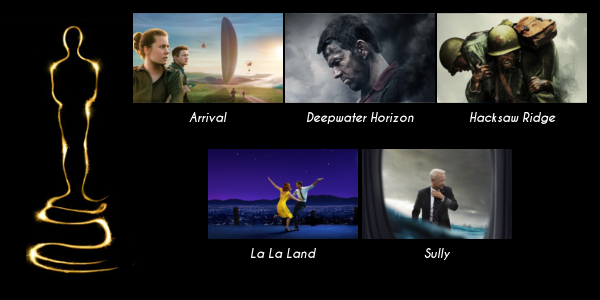 So without further ado: day two of the I Am Sam Review Oscar predictions. In a year that’s loaded with quality films, it’s not easy for every film to get rewarded. And as one of my favorite films of the year, I have to pull for Rogue One somewhere. In all honesty though the sound categories are always a bit tough to call so it could go to any of the five nominees. But that being said it’s fairly easy to put money on the film that will bring the most trophies in on the night and this case it’s another win for La La Land. 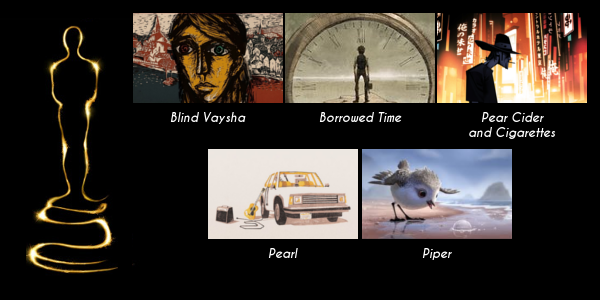 In another category that could go to any of the nominees, Best Sound Editing will most likely follow the pattern of going to the loudest film on the shortlist. With that in mind it really boils down to a two-film race and if I had my way it would be Arrival. 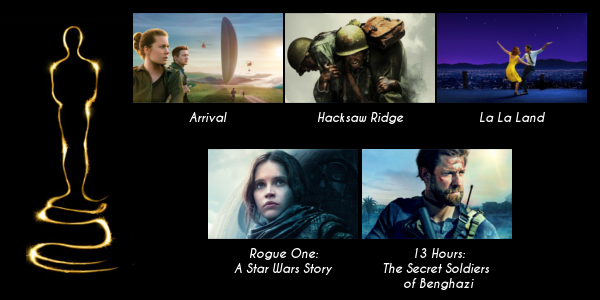 The Academy, however, will most likely pick the epic World War II drama Hacksaw Ridge for likely it’s only award of the night. This category is just a matter of which La La Land song will win once the card is opened. Personally “Audition” is a much better song both within the context of the film and on a casual listen. But like I said, La La Land will most likely get this honor. 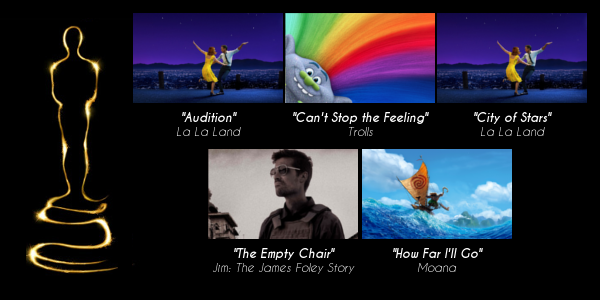 The only thing standing in it’s way could be if the Academy splits votes on the two songs and allows “How Far I’ll Go” to win and give Lin-Manuel Miranda the last piece of his coveted EGOT. A musical film that isn’t the favorite for Original Score? Unheard of. 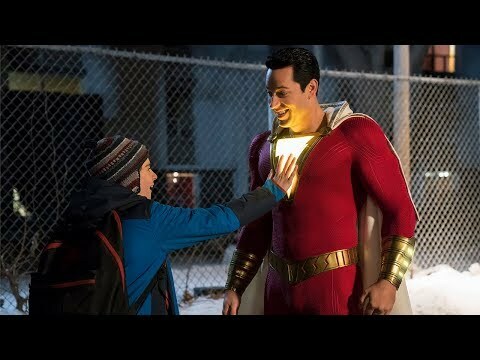 In this year’s race it seems very unlikely that another film would bring this home despite being really strong. 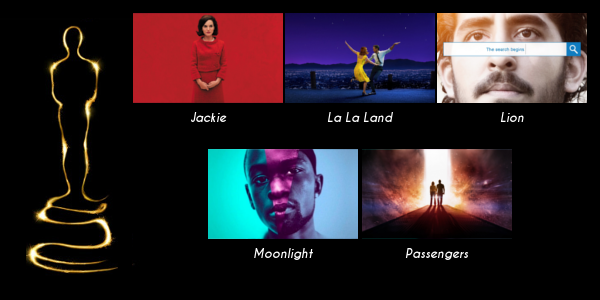 Moonlight and Jackie are both beautiful and almost haunting at points and really add so much to their respective films, but they’re running into the buzzsaw that is La La Land and neither will make it to the other side. The Short films are never easy to call but this is one of the easiest awards of the entire show to predict and Piper will almost surely take the cake here. The technical achievements of Piper are just too much for any of the others to top, though if any have an outside shot it's the deeply sad Borrowed Time. And we are back to the being too tough to call. 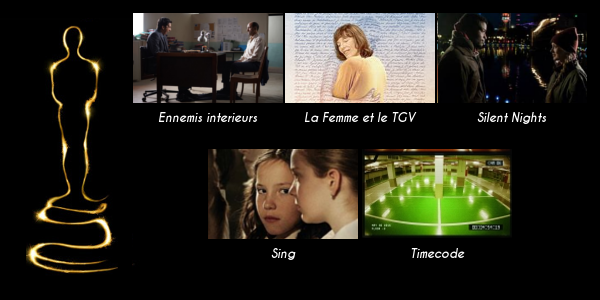 If I were to vote I’d pick Timecode for it’s sheer quirkiness and sense of humor but if I were stepping into the Academy’s thought process I’d say take Ennemis Interieurs as the relevant nominee. The documentary short I enjoyed the most was easily Joe’s Violin as it’s completely touching and heartwarming. But it’s unusual that the Academy would pick this film over the story of Syrian first responders in The White Helmets will probably get the nod here. 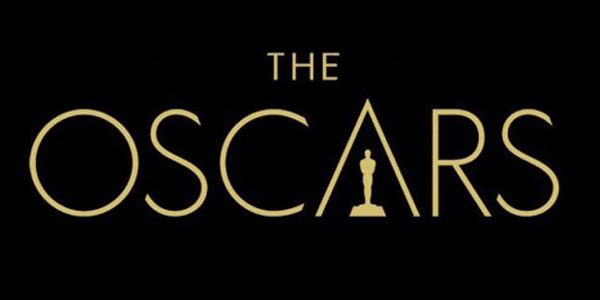 And thus concludes Part Two of the Oscar Predictions week on I Am Sam Reviews. La La Land racked up a few more wins to bring it's total to 6 and Hacksaw Ridge got on the board. Are there any predictions you disagree with and if so what do you see winning instead? Subscribe, share, comment below and as always return to I Am Sam for weekly reviews and insight. Make sure to watch out for Part Three coming sometime tomorrow.